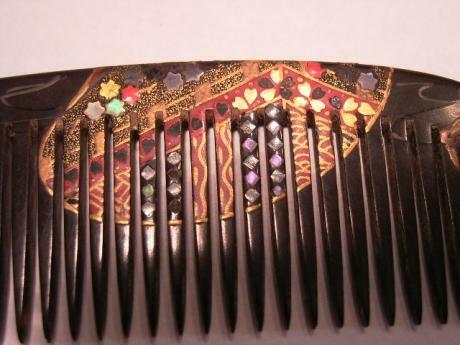 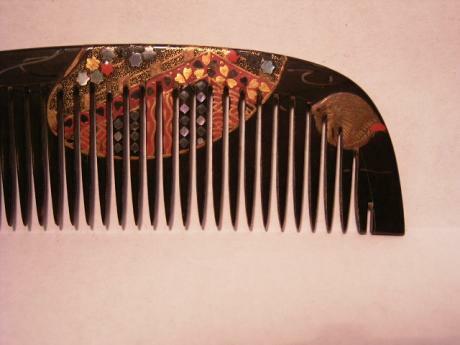 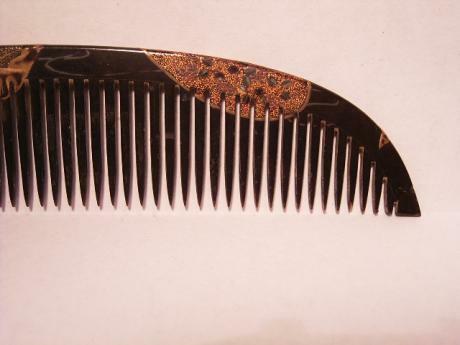 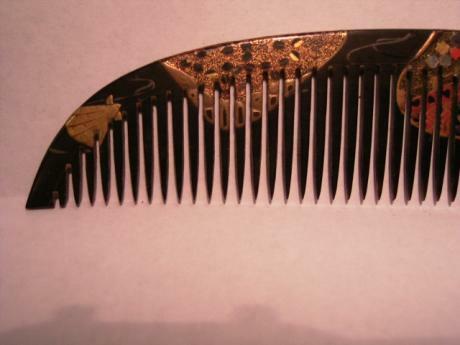 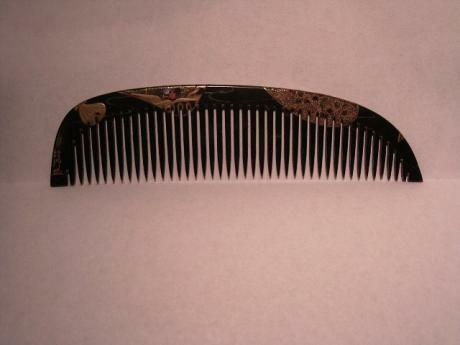 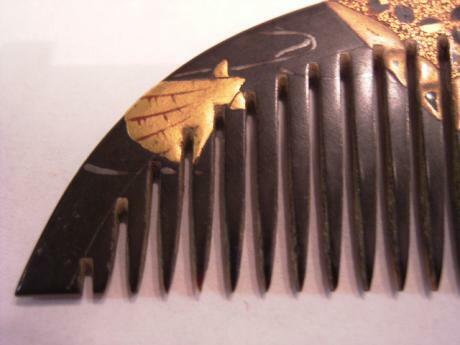 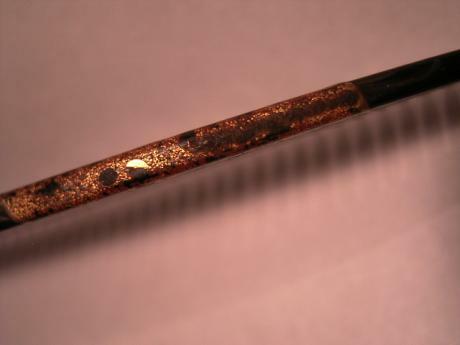 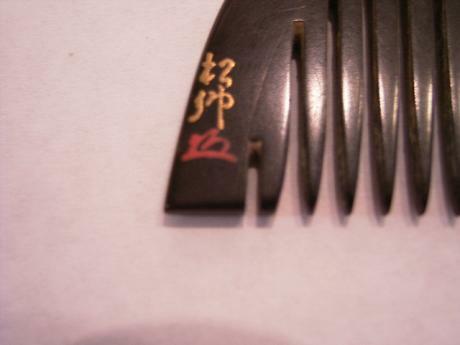 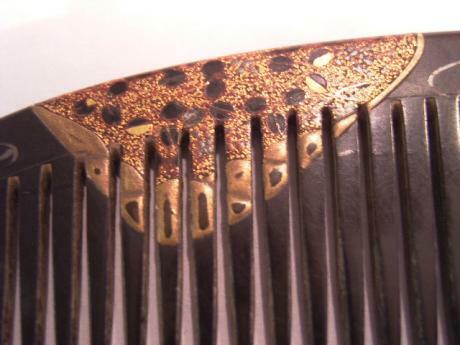 Description: Japanese Meiji Period lacquer and inlaid comb. 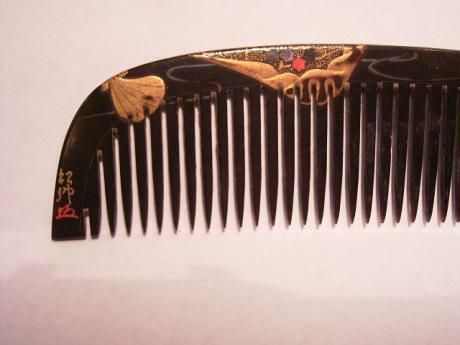 The asymmetrically shaped comb is done in gold and red lacquer and has shell inlays in a shell design. 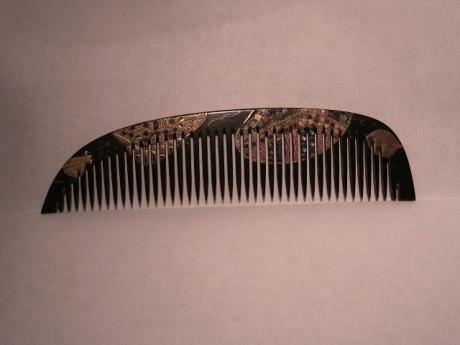 The comb measures 4 3/4" long and 1 1/8" tall. 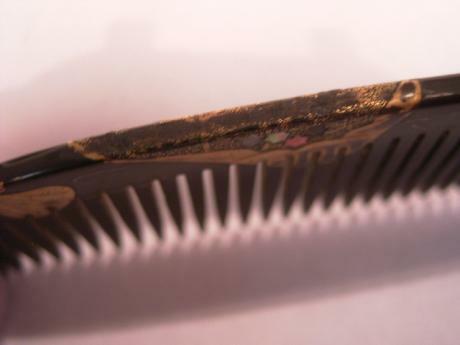 Some minor losses, rubbing and insect damage to the teeth.